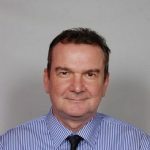 During his presentation at the last GREEN4SEA Conference, Mr. David Nichol, Senior Loss Prevention Executive, UK P&I Club, provided a brief overview of old and new challenges surrounding biofouling and what is in store for the future. Some invasive species have proven very destructive to native aquatic organisms as well causing serious damage to property and marine resources. Biofouling as a vector for the transfer of aquatic invasive is developing a higher profile with both legislators and the shipping community. The transfer of invasive aquatic species by means of global shipping activity has long been recognised as a significant threat to the world’s oceans and coastal ecosystems. If invasive species become established in a new ecosystem, they may adversely affect the environment or damage property and marine resources. Invasive Aquatic Species or IAS are introduced to new environments by ships mainly through ballast water and hull fouling. Over the past 15 years, the attention of the shipping community has necessarily been focussed of getting the BWM Convention up and running, however, with the implementation of the convention now very much in progress, legislators and environmental groups are increasingly switching their attention to hull biofouling as an important vector for the transfer of IAS. Biofouling is the undesirable accumulation of various aquatic organisms on ship’s hulls and all ships will be affected to some degree. The types of fouling are broadly categorised as microfouling –microscopic organisms including bacteria and diatoms producing a slime layer on the hull – and macrofouling being larger organisms visible to the human eye such as barnacles, tubeworms and fronds of algae. These plants and animals will hitch a free ride on ships to a completely new geographical area and if they survive the journey have the potential to establish a reproductive population and out-competing or even eradicating native species. Some studies have suggested that hull biofouling is a far more important vector for the transfer of invasive species than ballast water. In New Zealand, for example, it is stated that around 87% of non-indigenous marine species are associated with biofouling on international vessels. The aim is to keep a clean hull. The benefits are not just environmental as a clean hull will maintain the hydrodynamic performance of the vessel and with that, improve fuel efficiency and reduce emissions of GHG. Traditionally, we have been combating hull fouling principally by means of anti-fouling coatings of which a tremendous amount of work is invested into making them more effective and environmentally safe. But if not carefully managed, these systems are likely to fail allowing the development of excessive fouling. Apart from maintenance standards, hull biofouling is influenced by other factors, such as operating profile, trading routes, operational speed/idle time and the design and construction of the hull, particularly so called “niche areas” [including sea chests, hull recesses, bow and stern thrusters, rudder hinges]. The legislative requirements and manner in which they are applied vary but are broadly referenced to IMO’s Biofouling guidelines. However the consequences of non-compliance are potentially very serious. We may look at how one government has approached the matter. 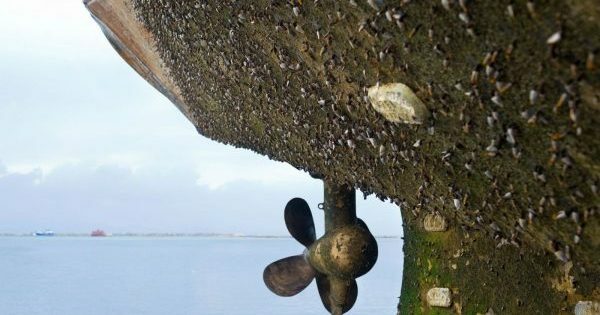 New Zealand introduced mandatory requirements for management of biofouling risks associated with ships entering their territorial waters in the form of the Craft Risk Management Standard (CRMS) which entered into force in May 2018. The CRMS is implemented and monitored by the Ministry of Primary Industries (MPI) and specifies that operators must take measures to ensure a clean hull before a ship arrives in New Zealand territorial waters. The second option is not practically available as there are no dry docking facilities for large vessels and in-water cleaning is prohibited. The MPI therefore encourages short-stay vessels meet biofouling thresholds by doing continual maintenance. The clean hull biofouling threshold is described in some detail in MPI Guidance documents and it will be noted that some biofouling is permitted of a limited nature and extent. Particular emphasis is given to the management of niche areas around the hull. Upon the basis of information provided, arriving vessels will be risk assessed and assigned a biofouling risk rating. With regard to in-water hull and niche area inspections and cleaning, the MPI will expect to see reports supported by date stamped photographs and/or video. What happens in the event of non-compliance? Vessels that cannot prove they are compliant with the standard may be subject to a dive inspection. 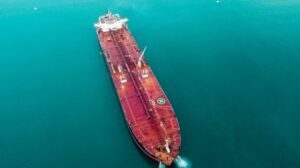 If non-compliance is confirmed, it is likely the vessel will be ordered to leave the territorial waters and not re-enter until hull cleaning has been carried out. We are aware of at least two incidents where vessels were directed to leave NZ territorial waters for heavy biofouling and three others had their itineraries shortened since the regulations came into force. The future – what can we expect? High levels of shipping activity will continue to provide means for aquatic organisms to transfer from one place to another. Some of these organisms are highly adaptive, resilient and destructive. Until such time IMO’s Guidelines become mandatory, there is the possibility that other governments will introduce their own unilateral regulatory requirements, potentially creating an inconsistent approach and confusion. Charter party disputes in relation to delays and additional cleaning costs can be expected. With regard to the impact on P&I, there is the potential for fines for non-compliance as well as perhaps liabilities for the disposal of biohazard waste. ..and what should we be doing? It is recommended that ship managers be pro-active in creating Biofouling Management Plans for internationally trading vessels. Adopt a broader view of hull maintenance and cleaning regimes to both improve efficiencies and protect the environment – a real win-win situation. Above text is an edited article of Mr. Nichol's presentation during the 2019 GREEN4SEA Conference.